The goal of a PA system is to provide “public address”, a way to transmit audio communication within a facility. 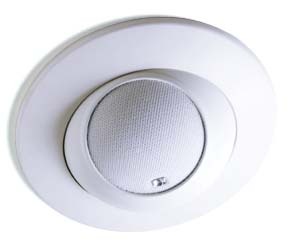 The PA system can be used to play background music in common areas or for presentations where a microphone is needed. Pages can be transmitted from a deskset or microphone into corridors and suites for emergency notifications. 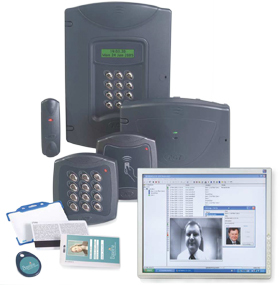 Access control systems provide authorized individuals safe and secure access in and out of various parts of your facility while keeping unauthorized people out. They can range from electronic keypads that secure a single door to large networked systems with fobs for multiple access points, e.g Front door, Garage door, medical centre. Access Systems also greatly simplify management of your facility: no need to replace lost keys, hunt down old keys from terminated employees, or wonder who has access to which areas. There are many different types of CCTV systems available—wired and wireless—and their modes of operation vary; however, the basic components are in essence the same: a CCTV camera, a CCTV monitor & a Digital Video Recorder (DVR). This is particularly useful for unmanned systems. 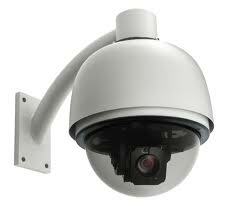 The recorded information can be stored and/or reviewed by those who have access to the recordings at their convenience. Many of the latest DVRs also have network connections so that saved and live footage can be accessed remotely via a PC or their smartphone over the internet. We are extremely satisfied with our after sales service. Our Help Call Rep is easily reached by cell or email within a reasonable time frame, and is always able to help us with our needs or questions, very knowledgable about the equipment they sell. We replaced our full nurse call and telephone system at Park Place Manor with Help Call Communication Systems. They were very knowledgeable about product solutions and options to meet our requirements. They made good suggestions for installation process and were very professional from consultation through to installation. The transition to the new Help Call systems was smooth, uninterrupted and professional. We are happy with their after sales service. Help Call is always available to answer questions, service calls are addressed in a very timely manner and they are very sensitive to Residents needs. We would recommend Help Call for their professionalism, knowledge, after sales service and courteous service. Help Call was very thorough from the beginning so we gained a proper understanding of what we hoped to achieve with our nurse call system. The proposal reflected that thoroughness and gave suggestions to improve our end results beyond our scope if we wished to invest further to obtain more functionality. The installation went just as discussed and there were no surprises, since everything had been properly pre-planned. Service is wonderful. Same day response during the week and next day at the utmost on weekends. I would recommend Help Call for their in-depth knowledge, solution proposals, politeness and efficiency. They continually work to turn any concern into a resolved problem in a timely manner with several options if they are warranted. We have always found Help Call very knowledgeable on varied products available and great for recommending the most appropriate systems for our needs at a cost effective price. After sales service is very important to us. I find Help Call always available to answer questions we have. I really appreciate the fact that I can call in and often have a problem solved over the phone. If a service calls is needed, I also find their response times excellent and am always kept informed before, during and after service. We have been a customer of Help Call for many years and really appreciate their honesty and professional approach to operating the company and service they provide. Just keep on what you are doing. I would definitely recommend Help Call to anyone. I feel we have always received good value when working through a limited budget. Help Call is a very knowledgeable company and always provides great advice and solutions for nurse call systems. The team is quick to respond to needs and provides options for the best solutions. After hours service is always available. I would recommend Help Call to others looking for a full service nurse call system. Their products are very dependable, expandable and offer both the Customer and Residents options for a safe and secure living environment.